Dixie Horse & Mule now offers compact trailers by Branson! 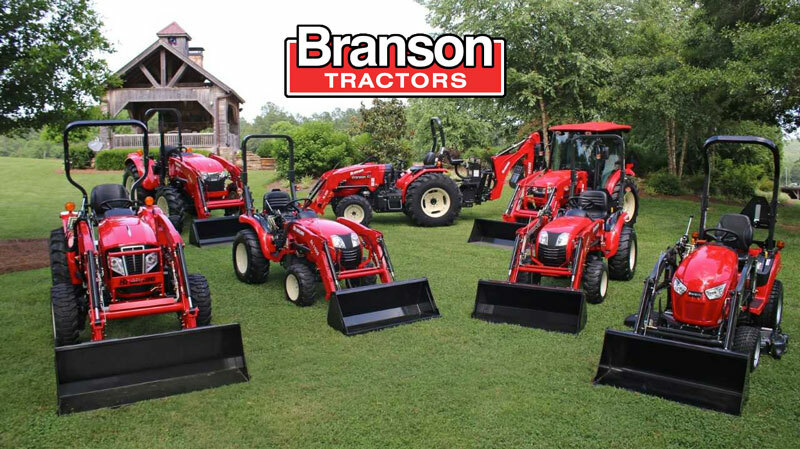 Lift, mow, plow, dig, till and grade more - FOR LESS - with a rugged Branson tractor that is built to last! Easy financing available and don't forget our famous Dixie Horse & Mule customer service. We will EARN your business! 19HP Tractor w/ 54'' mower and Loader! With Loader and Mower! 19HP Yanmar Diesel! 24HP A Series Cummins Engine! With Loader! 19HP with Backhoe and Loader!